Spinal joints that are “locked up”, fixated or not moving right can affect your health by “chocking” or irritating nearby nerve tissue. Chiropractic adjustments add motion to these stuck areas. This helps restore nervous system integrity and can improve the healing process. Russian Stimulation is a specific form of electrical stimulation with a symmetrical Biphasic Square waveform. It was originally developed by the Russian Olympic team intended for building muscle mass on their athletes. 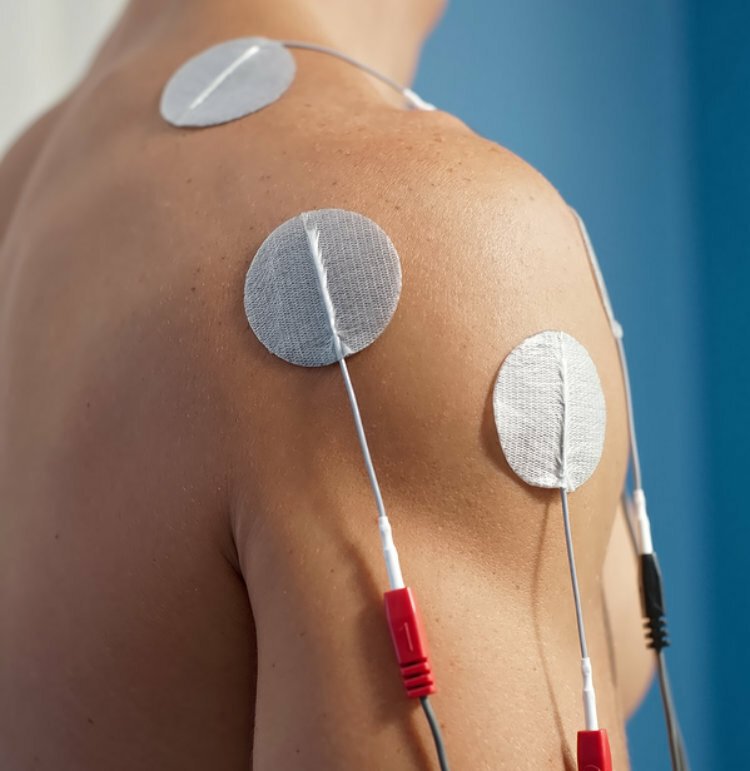 Russian stimulation is now more often used to re-build atrophied muscle mass and reduce edema of injured soft tissue. Russian Stimulation is designed to stimulate motor nerves at a frequency of 2500Hz allowing for deeper muscle penetration and a more complete/stronger contraction of the muscle fibers. This form of stimulation relieves muscle spasms and is beneficial for elderly patients and those suffering from scoliosis. 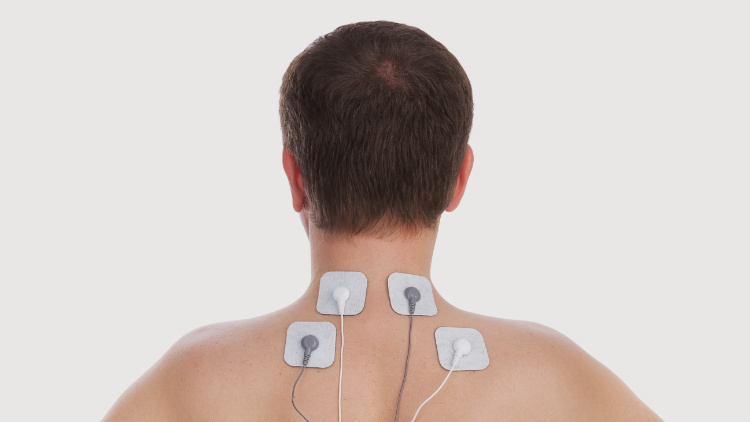 Interferential current therapy is a treatment used to relieve pain and to promote soft-tissue healing. Tiny electrical impulses are induced into the tissues of the injured area. These waves intersect below the surface of the skin; the low-frequency stimulation induces the body to secrete endorphins, which are the body’s natural pain-killers. 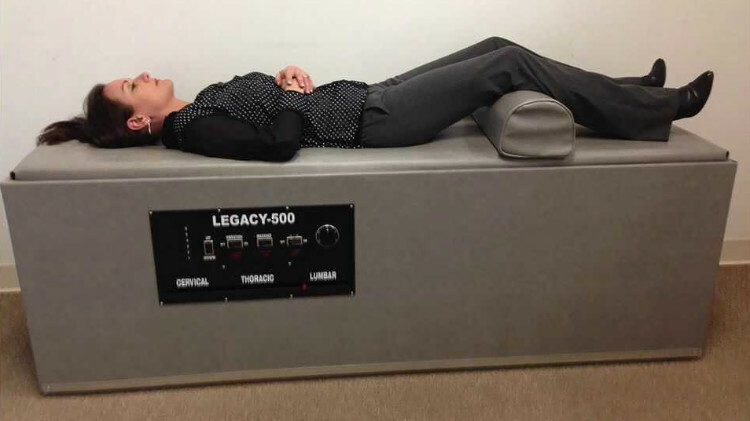 Most patients find interferential therapy to be very beneficial and describe the treatment as being relaxing as it reduces pain and inflammation. Ligament sprains, muscle strains and spasms often respond well to interferential current therapy. Cold therapy or cryotherapy is an effective means of reducing inflammation/swelling following an accident or injury. Cold therapy is applied in the form of ice, which will inhibit the firing of the nerve-muscle units and reduce muscle spasms. 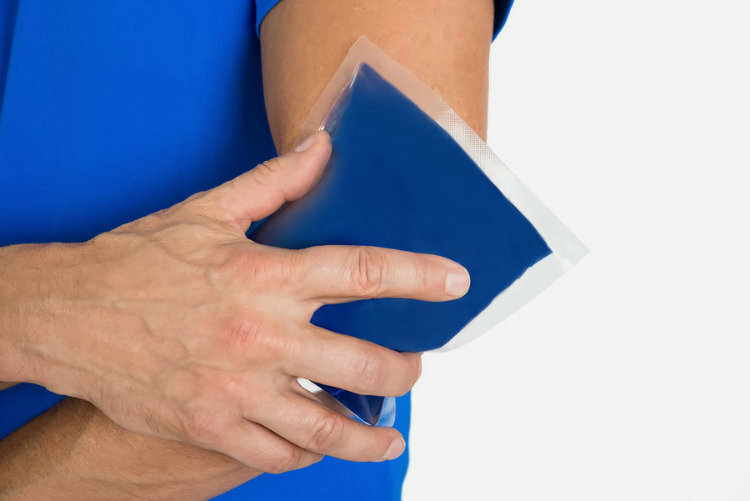 Cold therapy reduces blood flow and oxygen demands to injured tissue/muscles thus preserving the muscle cells and easing pain in the event of an acute injury. Ice packs are often applied with a compression wrap along with elevation to maximize the reduction of the swelling. Heat therapy is applied using hot packs layered in towels applied directly to the injured area. The heat provided by the hot packs has several important benefits. It relaxes tight muscles, decreases pain caused by muscle tension or spasms and also causes vasodilatation of the blood vessels which increases circulation to the injured area. 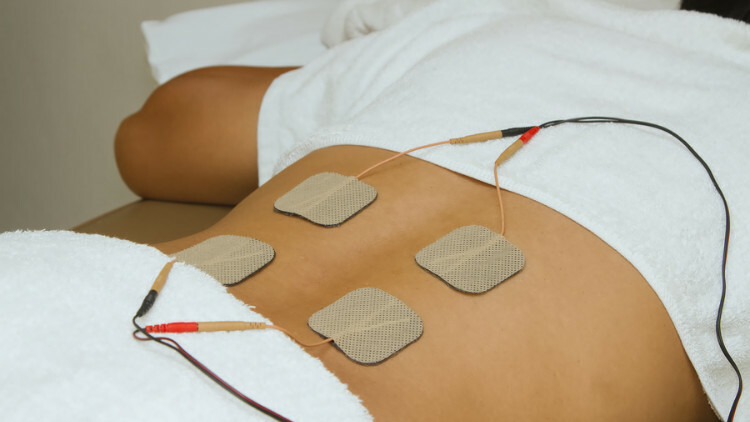 Patients with muscle strains, spasms, or arthritis will benefit from this form of treatment. *Please consult with a doctor before deciding whether to apply ice or heat. Different conditions require different protocols, and picking the wrong modality may prevent proper healing and cause further soft tissue damage! The Kinesio Taping Method is applied over muscles to reduce pain and inflammation relax overused tired muscles and to support muscles in movement on a 24hr/day basis. It is non-restrictive type of taping which allows for full range of motion. Flexion Distraction is a gentle Chiropractic adjusting technique used to repair herniated discs. Flexion Distraction is a safe alternative to back surgery for those 95% of patients whose conditions don’t demand surgical intervention or back surgery. Flexion Distraction may help relieve pain from disc hernia, failed back surgery syndromes, leg pain, sciatica, neck pain, arm pain, ruptured discs, herniated discs, slipped discs, low back pain, facet syndrome, bulging discs, spondylolisthesis, scoliosis, sprain/strain, disc prolapse, etc. Intersegmental traction (IST) is a way of inducing passive motion into the spine, which will stretch spinal joints and increase mobility. Traction is any applied mechanical force that is used to achieve motion. During the procedure, the patient lies face up on a specialized table equipped with rollers beneath its surface. The rollers slowly travel the length of the patient’s spine. Why do we use this in our office? Because spinal discs have a poor blood supply, they get nutrients from the circulation of fluids surrounding the spinal joints. Fixations of the spine prevent this natural circulation and can cause disc thinning and degeneration. Intersegmental traction helps increase and restores necessary elasticity and motion to the spine. • The joints and muscles of the body function most efficiently when they are in physical balance. Principles of engineering have shown that with any physical entity, whether it is a bridge, a building, or the human body— Structure dictates function. • The body is a biomechanical kinetic chain where abnormal movements at one line, or joint, can interfere with proper movements at other joints. • During standing and walking, our bodies are subjected to natural forces and postures that can inflict mechanical stress and strain throughout the interrelated chain of joints and muscles. • When foot imbalance is present, there is a negative impact on the knees, hips, pelvis, and spine. Some patients must have these abnormal forces reduced before they can achieve improved spinal function. • A loss of arch height will cause a flattening and rolling in of the foot— this is termed pronation. Because everything is connected, the bones of the leg also inwardly rotate. • Excessive rotation of the bones of the leg (tibia and femur) will cause unnecessary stresses on the knee as well as twisting of the pelvis and spine. If the pronation is more prevalent on one side, there can be a resultant unleveling of the pelvis and a functional scoliosis. • Tilting of the pelvis places tension on muscles and connective tissues, which can eventually lead to chronic back problems. • High levels of heel-strike shock can result from breakdown of the body’s natural “shock absorbers.” The shock wave then transmits up the kinetic chain causing painful symptoms all the way up to the head, slowed recovery of leg and spine injuries, and aggravation of other conditions. • Properly fitted Spinal Pelvic Stabilizers support the foot to control excessive and unwanted pronation and supination. This helps to reduce unwanted stress on the body. 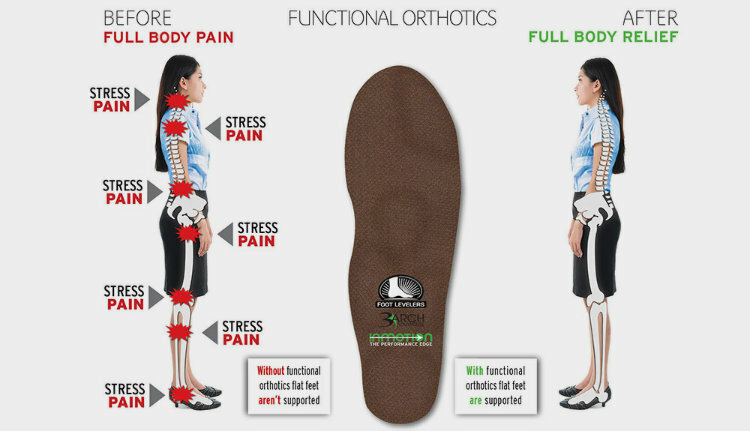 • Improved shock absorption reduces repetitive stress on joints and muscles, permitting smoother function and decreasing arthritic symptoms. • Use of Spinal Pelvic Stabilizers represents a long-term, yet cost-effective intervention for many types of functional and structural problems. • Wearing Spinal Pelvic Stabilizers inside your shoes is similar to placing a shim beneath the leg of a wobbly table: it adds support to eliminate unwanted motion in the entire structure. • The foot is formed of three distinct arches, which create an architectural vault. The result of supporting these three arches is improved stability and postural integrity. • Flexible Spinal Pelvic Stabilizers encourage optimal muscle and nerve function by guiding the feet through a more normal pattern with each step taken.